New Speakers And Topics Announced For Innovation Uncensored; Only 3 Weeks Left To Register! Time is running out to register for Innovation Uncensored in San Francisco. We’re only three weeks away and we’re excited! The CEOs of eBay, Ticketmaster, SolarCity, craigslist, Virgin America, Startup America Partnership, Erly, Livestrong, and Path are coming. But that’s not all, we also have executives from HBO, LinkedIn, Water.org, Cisco, Adobe, SCVNGR, and many more. Newark has become a hotbed of possibility…and not just because Mark Zuckberg pledge $100 million for its public schools. 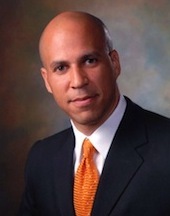 How Mayor Cory Booker (pictured, at left) wants to change the way we think about business, philanthropy, and education. From couches to concerts, how Ticketmaster and HBO are embracing new digital experiences. Real-world advice for anyone considering a new business venture from Scott Case, CEO of Startup America Partnership. The democratization of technology and design. Hear insights from RISD President John Maeda (pictured, at right) and Adobe’s Chief Technology Officer Kevin Lynch. View the agenda in full here. Check out all the speakers here. Follow the conversation on Twitter. Register now, tickets are in short supply!